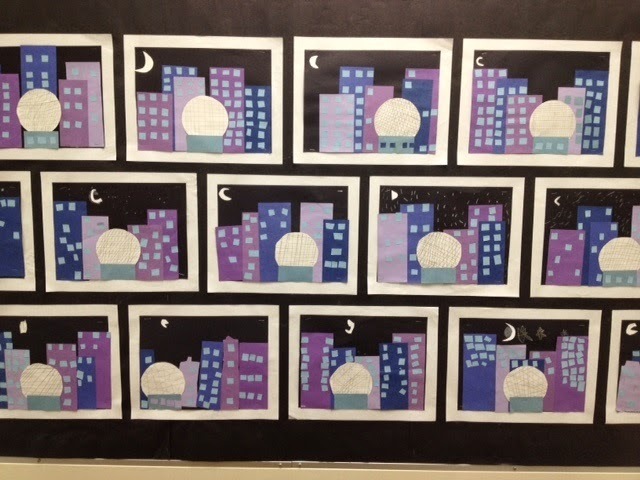 My Grade One class created these beautiful cityscape collages of Vancouver, BC. 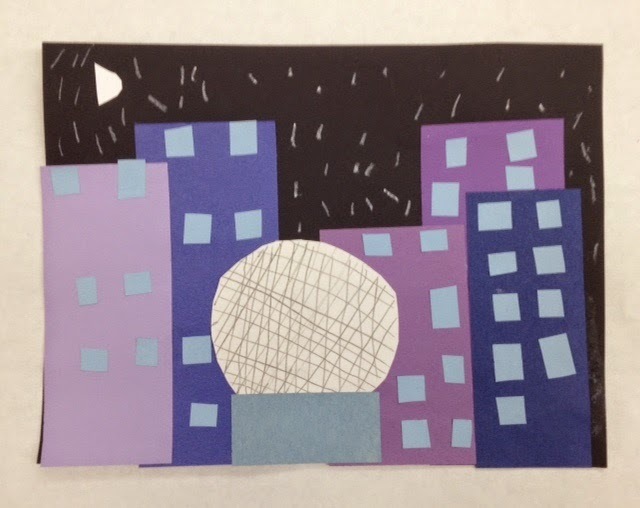 We were inspired by a local artist named Nicholas Brancati. 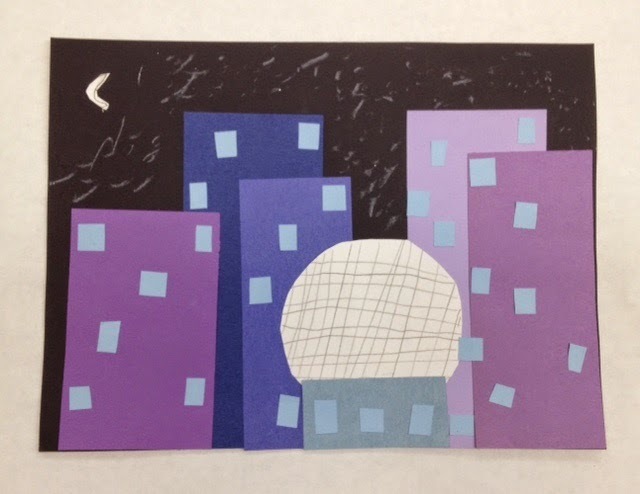 He is an illustrator who creates mixed-media collage illustrations and art using bits and pieces of fabric, paper, packaging, magazine, newspaper, cardboard and various other materials. 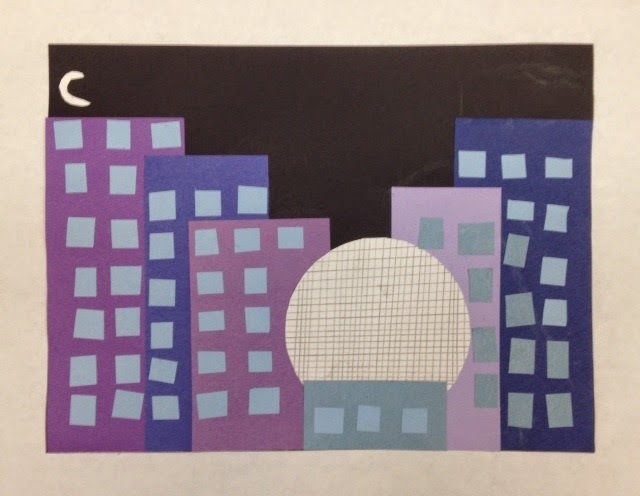 You cans find more of his amazing work on his Etsy Shop page. 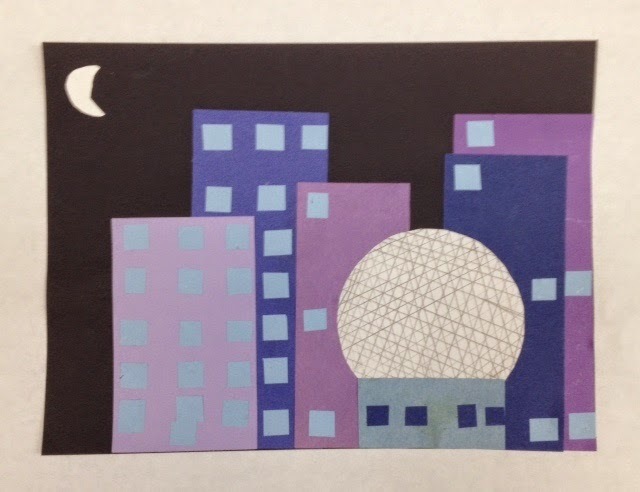 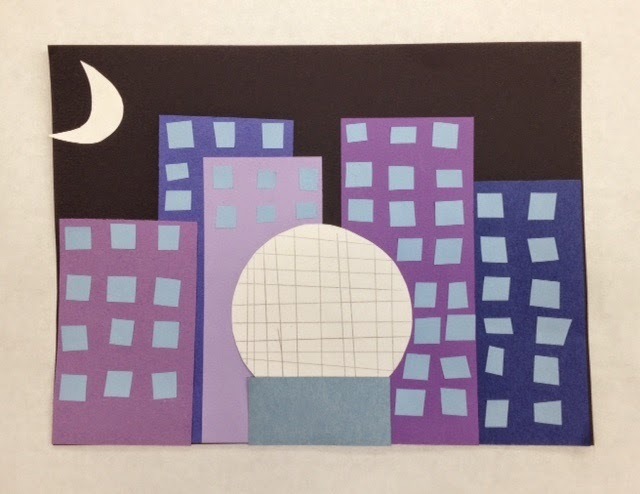 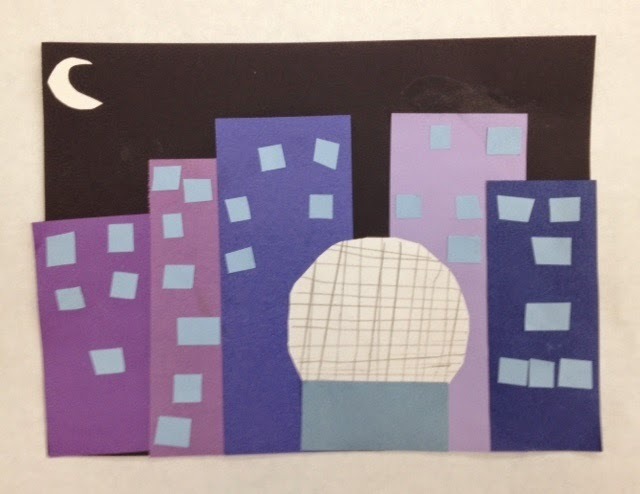 Our evening art contains buildings created in cool colored construction paper. 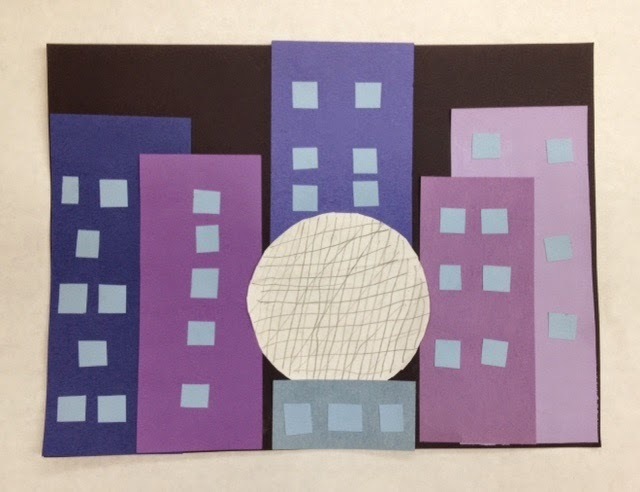 However, this would be just as effective in bright primary and secondary colors as well.